Hard boil eggs as normal (5 minutes works for us). Roll them along a paper towel to crack the shell but do not remove the shell. Put food coloring in a bowl and add water. We did about a teaspoon of food coloring and a 1/4 cup of water. 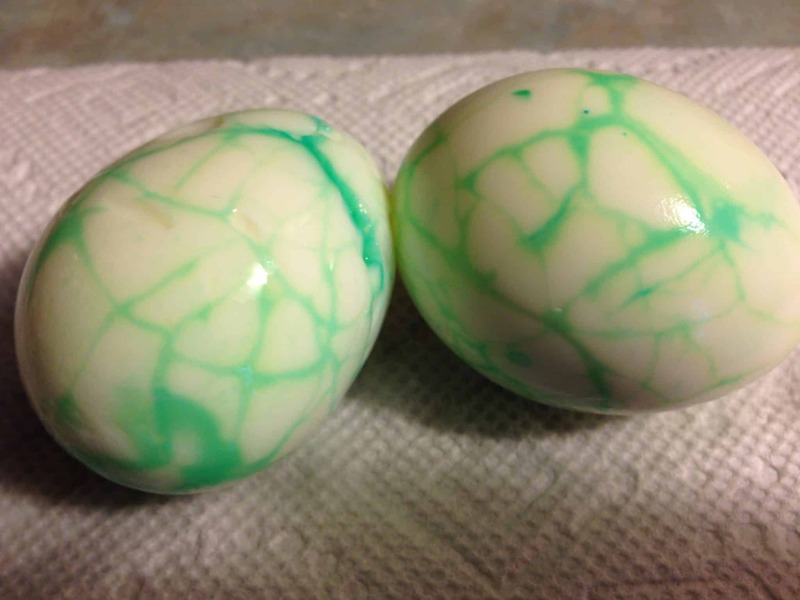 Place the egg (still in shell) in the food coloring mixture. Roll around in the color. Remove and take the shell off. We used gloves so our hands did not get stained. 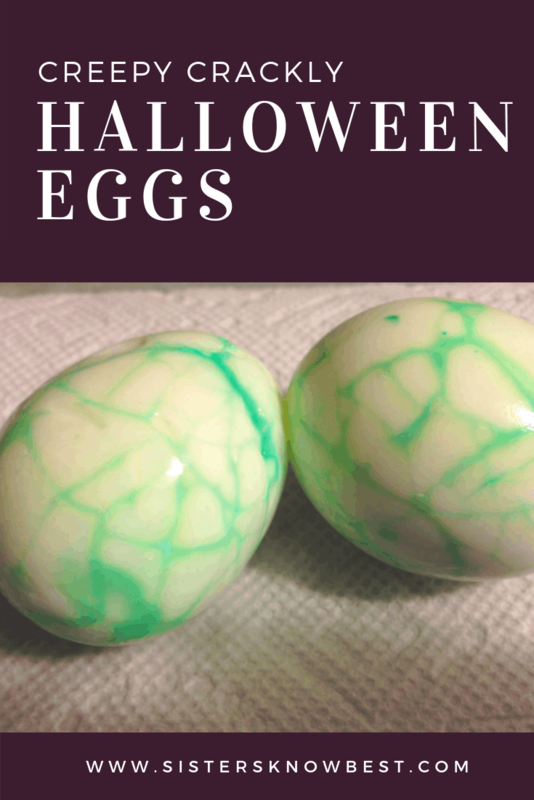 You can use any color you decide, but we used red and green and think those colors work the best for this Halloween egg recipe. 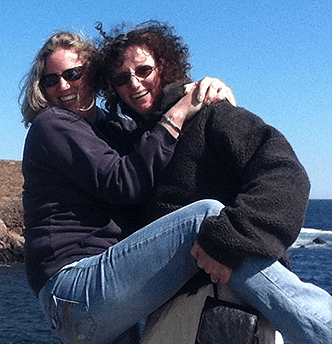 At Sisters Know Best, we always opt for healthy options. If food coloring is something you’d prefer not to use, we recommend trying beet juice to color the eggs. A bonus could be encouraging your children to eat this wonderful nutritious veggie before using the leftover juice from cooking for coloring the eggs. Hey, Halloween is a time for trick – or – treating! What do you think? 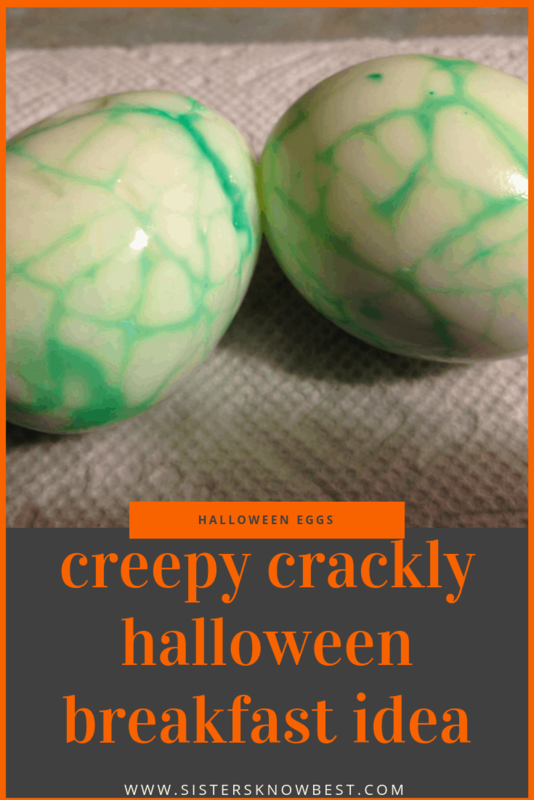 If you’re looking for another Halloween egg recipe, try our Spooky Spider Deviled Eggs. Other fun Halloween food we love are Graveyard Pudding Pops, or may we recommend our Mummy Meatloaf? The meatloaf is perfect for ANY time of year! !